Our board consists of proven entrepreneurs and innovative leaders with unique ideas and consistent value systems. Campbell B. Lanier, III is the Chairman and Chief Executive Officer of ITC Holding Company, LLC, a diversified holding company headquartered in West Point, Georgia. His investment activities span more than 30 years and have focused on early stage investments in communications, technology, financial services, restaurant management solutions, and canine detection services. He has served as a director of ITC since the company’s inception in 1989 as a corporation. He currently serves as Senior Director of Kinetic Ventures, a leading venture capital investor in high growth information, communications, and power/clean technology companies. Mr. Lanier also serves as General Partner for ITC Partners Fund I, LP, an early stage investor in high growth technology and services companies; Chairman and CEO of Magnolia Holding Company, an investor in online restaurant equipment, supply and service companies; and former Chairman or Director of numerous portfolio companies. Earlier in his career, he co-founded Interstate Communications (Telecom*USA), which was acquired by MCI for $1.2 billion in 1990. Mr. Lanier was the founding investor and Chairman of Powertel (now T-Mobile), which was acquired by Deutsche Telecom for $4.2 billion in 2000. He was also the founding investor for Mindspring, which was valued at $1 billion at the time of its merger with Earthlink, as well as the founding investor of ITC^DeltaCom, InterCall, Knology and Firethorn. He has previously served as Managing Director of South Atlantic Private Equity Fund, IV, Limited Partnership. Mark is the Vice Chairman and Founder of ITC Capital Partners. In this role, Mark is a guardian of the value system and an advocate for the diversification and globalization of the ITC enterprise. 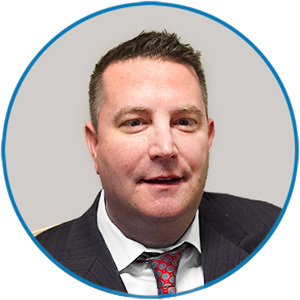 Throughout his career, Mark showcases his focus on excellence in delivery through honesty, integrity, teamwork, solid partnerships, and a commitment to individual and team improvement. Prior to his current role at ITC Capital Partners, Mark had a career in consulting with interests in process improvement and partnership creation as well as numerous entrepreneurial endeavors. Mark has founded or has been a founding member of numerous companies in various industries including aviation, information technology, logistics, operations, security, and training. He was instrumental in migration of software from an antiquated client version to one that is Internet, mobile, and cloud-friendly – at a time when the technology was at a crossroads. Mark’s leadership decision to change showed his visionary style, and his ability to listen attentively to those that were impacted most by controversial decisions. Mark’s security and protection businesses still operate 24/7 on five continents and have provided life-saving detection and protection for over 15 years in conflict areas worldwide. Mark graduated from Babson College with a bachelor’s degree in business administration. Mr. Johnson was elected to the Board of ITC Capital Partners in 2013. He currently serves as Chairman of the Board of Tower Cloud, Inc., a technology firm delivering fiber optic back haul connectivity to wireless communications carriers. Mr. Johnson was elected to the Board of ITC Capital Partners in 2013. He currently serves as Chairman of the Board of Tower Cloud, Inc., a technology firm delivering fiber optic back haul connectivity to wireless communications carriers. Prior to that he was Chairman of the Board and CEO of Knology, Inc., a competitive broadband communications provider of internet, television, and telecom products. Additionally, Mr. Johnson was President and CEO of Communications Central, Inc. He established JKC Holdings, a management consulting firm through which he guided several business turnaround efforts. Prior to JKC, Mr. Johnson served as President and Chief Executive Officer of Brock Control Systems, Inc., a sales and marketing software automation concern. His first entrepreneurial endeavor began in 1984, when he was President of Interactive Financial Services, Inc. Mr. Johnson spent his early career with AT&T, where he worked in numerous departments including sales, marketing, engineering, operations, and human resources. He has a B.S. in Civil Engineering from Mississippi State University and a M.B.A. from Georgia State University. During his distinguished 38-year career in the U.S. Army, and now, at Auburn University, Lieutenant General Ronald L. Burgess, Jr. (Ret.) serves as a driving force in the U.S. Intelligence Community by providing exceptional leadership and broad strategic vision that contributes to safeguarding U.S. national security interests. He has consistently guided outcomes that have strengthened our national and military intelligence capabilities and has been instrumental in transforming defense intelligence into a cooperative enterprise to better serve national policymakers, Combatant Commanders, and the warfighter in the field. Commissioned in Military Intelligence through the Auburn University ROTC Program in 1974, Burgess earned a Master of Science degree in Education from the University of Southern California in 1980, and a Master of Military Arts and Science from the U.S. Army Command and General Staff College in 1986. His military education includes the Armor Officer Basic Course, Military Intelligence Officers Advanced Course, Command and General Staff College, Advanced Military Studies Program, and Air War College. Burgess held a variety of key staff and command positions throughout his 38 year military career. General officer assignments include Director oflntelligence, J2, U.S. Southern Command; Director oflntelligence, J2, Office of the Joint Chiefs of Staff; and Deputy Director of National Intelligence for Customer Outcomes transitioning to Director of the Intelligence Staff in the Office of the Director of National Intelligence. He was dual-hatted twice as the Acting Principal Deputy Director of National Intelligence. His final military assignment was as the 17th Director of the Defense Intelligence Agency. As head ofthe Defense Intelligence Agency and a former Acting Principal Deputy Director ofNationallntelligence, Burgess served as a key player within the national security arena, called upon by the President, the Secretary of Defense, the Director of National Intelligence, the Chairman of the Joint Chiefs of Staff, and Congressional leaders for his opinions, advice and expertise. His leadership skills were used to focus the Defense Intelligence Agency on the greatest challenges confronting the United States including Afghanistan-Pakistan, Iraq, transnational terrorism, and preventing strategic surprise elsewhere around the globe. Burgess’ personal military awards and decorations include the Defense Distinguished Service Medal (One Oak Leaf Cluster), Defense Superior Service Medal (Two Oak Leaf Clusters), Legion of Merit, Meritorious Service Medal (Four Oak Leaf Clusters,) Joint Service Commendation Medal, Army Commendation Medal, Army Achievement Medal, NATO Medal- former Republic of Yugoslavia, Parachutist Badge, Joint Chiefs of Staff Identification Badge and Army Staff Identification Badge. During his career he was recognized with awards by the governments of Colombia and Bolivia. Additionally, he was presented with the Order of the Star of Romania by the President of Romania and was inducted in the National Order of the Legion of Honor by the President of France. He was recently identified as a recipient of a 2013 Lifetime Achievement Award from the Auburn University Alumni Association. Throughout his career, Burgess has been recognized for his contributions to the U.S. National Intelligence Community·. His comprehensive knowledge of defense intelligence organization and information systems, and his leadership, proactive coordination, and attentive follow-through contributed to the success of numerous missions of national significance. As a result of his leadership, the cornerstone Executive Order 12333, which governs all intelligence activities, was revised; critical Intelligence Community managerial operations were overhauled; and innovative human capital practices were pioneered. In December of 2012, LTG Burgess joined Auburn University as Senior Counsel for National Security Programs, Cyber Programs and Military Affairs. In this capacity he works across the university to interface and coordinate with federal, state and commercial entities on all matters related to these areas. 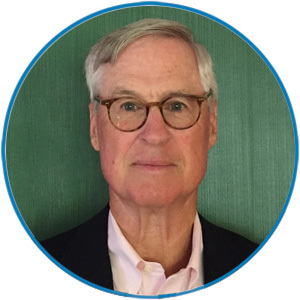 Prior to his involvement with ITC Capital Partners, Don was the founder and Managing Partner of the four South Atlantic Venture Funds founded in 1983 with $175 million under management. He is also the founder and Managing Partner of The Burton Partnerships, a partnership focused primarily on publicly traded, small capitalization value stocks. © ITC Partners, LLC. All rights reserved.